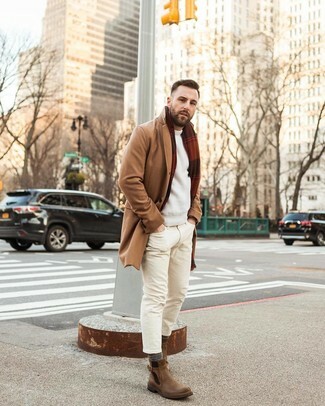 We all want comfort when it comes to dressing up, and this combination of a Luciano Barbera crewneck cashmere sweater and black ripped skinny jeans is a perfect example of that. Add a glam twist to your getup with black suede chelsea boots. 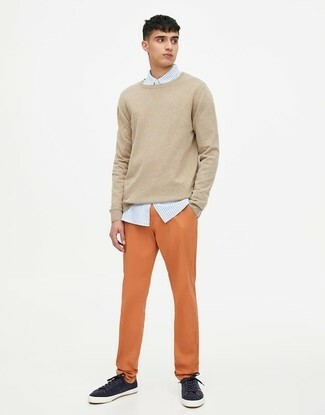 A Luciano Barbera Crewneck Cashmere Sweater from Nordstrom and orange chinos are a combination that every sharp gent should have in his casual styling collection. Go off the beaten track and break up your outfit by finishing off with navy low top sneakers. If you're searching for a casual yet stylish look, consider teaming a Luciano Barbera crewneck cashmere sweater with black skinny jeans. Both items are totally comfortable and will look great paired together. 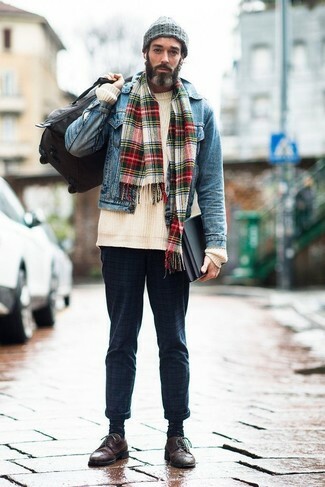 If you're after a casual yet sharp outfit, dress in a Luciano Barbera crewneck cashmere sweater and navy plaid chinos. Both items are totally comfortable and will look great together. Opt for a pair of dark brown leather brogues for a masculine aesthetic. 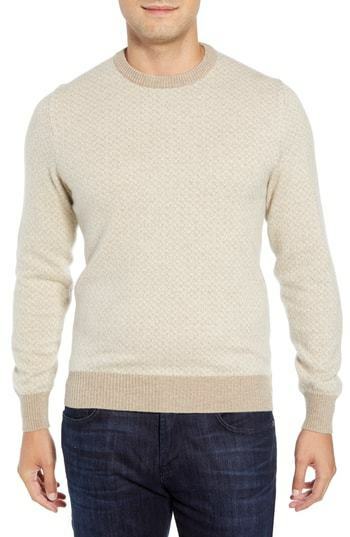 To achieve a casual ensemble with a contemporary spin, choose a Luciano Barbera Crewneck Cashmere Sweater from Nordstrom and beige skinny jeans. 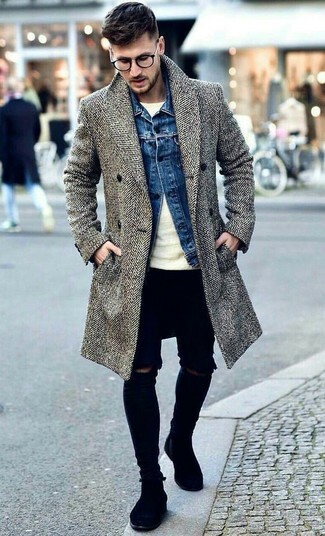 Here's how to polish off this ensemble: brown leather chelsea boots. If you're on the hunt for a casual yet seriously stylish ensemble, dress in a Luciano Barbera Crewneck Cashmere Sweater and white chinos. Both garments are totally comfy and look stunning paired together. 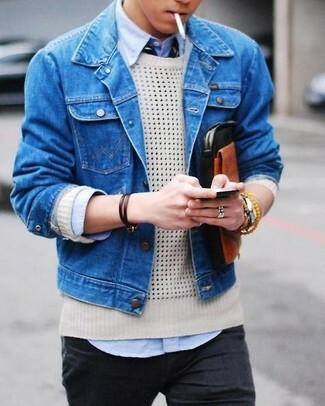 Complement this outfit with dark brown leather desert boots. Consider pairing a beige crew-neck sweater with a dark brown suit for incredibly stylish attire. Opt for a pair of dark brown leather oxford shoes for a masculine aesthetic. If you're after a casual yet on-trend outfit, dress in a Luciano Barbera crewneck cashmere sweater from Nordstrom and navy jeans. Both garments are totally comfortable and will look great together. Dress up your look with tobacco leather casual boots. 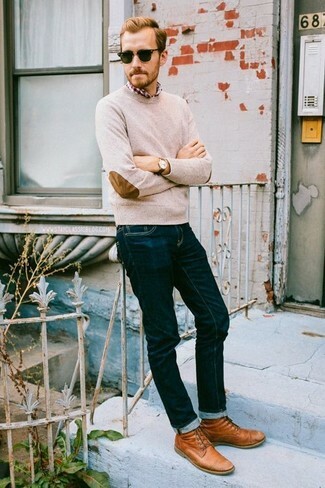 We're all seeking comfort when it comes to dressing up, and this combination of a beige crew-neck sweater and navy ripped skinny jeans is a great example of that. For something more on the daring side to finish off this look, rock a pair of beige suede sandals.